This entry was posted in Entrees, Salads and tagged Chopped Salad, Cooking, Dinner, Edamame, Entree, Food, Garbanzo Beans, Recipe, Roasted Red Peppers, Salad. WOW – what a salad!! 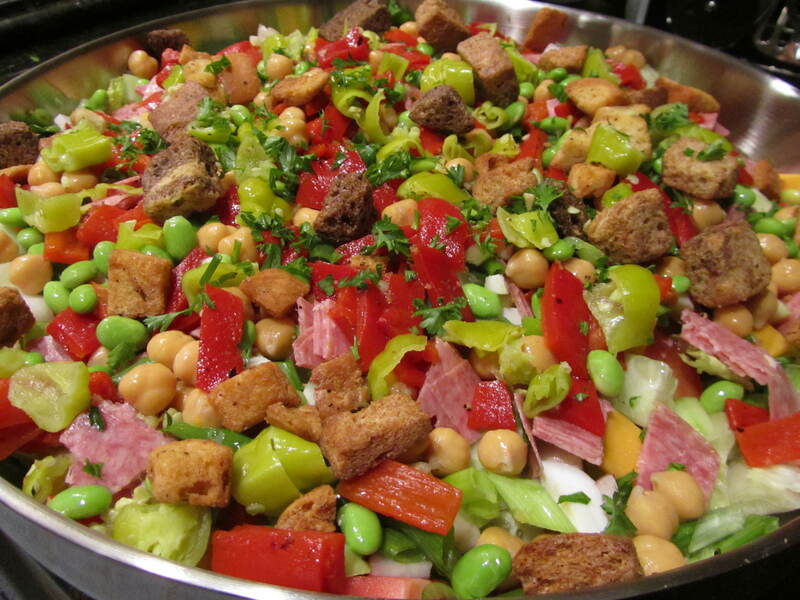 Maybe it could be named “The Duggar Salad” because I do believe it could feed their 19 kids and then some – lol! After reading through the ingredients, there’s only one more thing I think I would add – and it’s because my hubby is like yours – a “protein-fiend” – so I think I’ll throw a marinated flank steak on the grill and then thinly slice it and add it to the mix. This is a great crowd-pleaser recipe – thanks! !